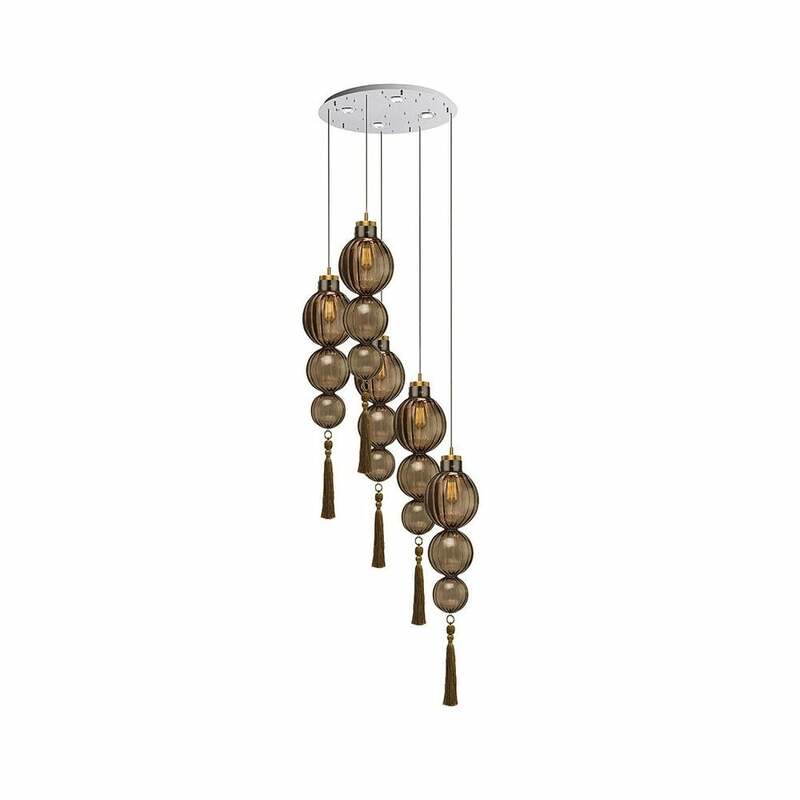 A decorative glass finish complements finely sculpted metal work on the opulent Medina pendant light from Heathfield & Co. The sophisticated lighting solution combines beautifully crafted Borosilicate glass with intricate metal work. The premium glass is hand blown into a fluted tube to create an elegantly elaborate lighting artwork. The statement design is available in a choice of nickel or brass metal finishes. The beautiful feature light features unique tassels inspired by Arab marketplaces. Exclusively designed for Heathfield & Co, the tassels are the mastermind of leading international furnishing trimmings designer, Wendy Cushing.